The decision making organ of the Professor Erik Holst Fund (PEHF) is the Board of Directors (BoD). The BoD consists of at least five but not more than seven persons. The members of the first BoD were appointed by the Founders, i.e. the IFMSA Alumni present at the IFMSA AM 2011 conference in Copenhagen, Denmark. The current IFMSA Alumni Relations Support Division Director (ARSDD) is ex officio member of the BoD. The BoD elects from among its members a Chair, a Secretary, a Treasurer, an External Relations Officer and a Liaison Officer to IFMSA. Meetings of the BoD physically or by e-conferencing are convened by the Chair as necessary but at least twice yearly. The Chair organizes and leads PEHF’s meetings and online-meetings. Prepares the agenda together with the Secretary. Oversees transactions with the Treasurer and the IFMSA Treasurer. Supervises evaluation of applications and submission to the Board of Directors of recommendations for selection of grantees together with the Secretary. Works with External Relations Officer in donor appeals and other Alumni communications. The Secretary prepares the agenda together with the Chair and records the minutes for each meeting. Distributes the minutes to all Officers. Is responsible for receiving and the management of applications to the fund as well as for communication with grantees. (Also responsible for ensuring that all documents related to the PEHF are updated). The Treasurer oversees all financial deposits and disbursements related to the PEHF. Works with the IFMSA Treasurer to maintain the PEHF’s autonomy while sharing an IFMSA bank account. Provides regularly information on the PEHF financial status to Board of Directors and External Relations Officer for publication in the newsletter. Prepares annual financial statement for external auditing. In a situation where there is no member elected for this position, this position will be the responsibility of the IFMSA Treasurer. The IFMSA Treasurer will always make transactions on behalf of the PEHF BoD prior to approval from the BoD. The External Relations Officer promotes the PEHF to all Alumni. Is responsible for the PEHF’s branding and external profile. Manages web presence, writes and edits newsletter, donor appeals to alumni and any other publications. This role will be taken by an IFMSA official, the Alumni Relations Support Division Director of the IFMSA. Serves as the Fund’s representative towards IFMSA. Obtains feedback from Alumni and grantees on the functioning of the PEHF. All letters in relation to correspondence and documentation in related to the which the IFMSA CI is used must be signed and stamped by this member together with any other member before it is distributed. Communication within the BoD and in relation to the PEHF must always include the Liaison officer to IFMSA. Prof. Erik Holst is emeritus professor of social medicine at the University of Copenhagen, Denmark, and now an international consultant with the ICAR Foundation, Romania, which gives free medical, psychological, social and legal assistance to victims of torture and other abuses. He graduated from Medical School in 1956 from the University of Copenhagen and received in 1962 his Public Health Diploma again from the University of Copenhagen. During the next years after his graduation, he served in many positions, including president of the Danish Junior Hospital Doctors Association (FAYL) 1960-63, Co-Editor-in-Chief of Ugeskrift for Læger (Journal of the Danish Medical Association) 1967-80, president of the Danish Confederation of Professional Associations (AC) 1972-75, president of the Standing Committee of European Doctors (CPME) 1977-79, president of the Danish Medical Association (DADL) 1980-86 and visiting professor, International Comparative Health Policy, Division of Health Services, School of Public Health, University of California at Los Angeles (UCLA) 1986-89. Since 1990, he has focussed on rehabilitation of torture victims, and has served as president of the Rehabilitation and Research Centre for Torture Victims in Copenhagen, and as executive vice president of the International Rehabilitation Council for Torture Victims, Denmark. Prof. Walden is a vascular surgeon who for years was chief of surgery at Sheba. He is a professor at Tel Aviv University’s Sackler School of Medicine, and has been a visiting professor at Massachusetts General Hospital in Boston and at Salpetriere Hospital in Paris. He joined Physicians for Human Rights in 1992 and been one of its leaders ever since. Prof. Walden is personal physician to Mr. Simon Peres, former President of the State of Israel, while Peres is Walden’s father-in-law. At the Sheba Medical Center he was Chairman of the Surgical Division (including 18 various surgical departments) where he pioneered non-invasive vascular studies. He has also served as a medical consultant to the government of Singapore. Professor Walden has published more than 90 peer-reviewed papers and has authored book chapters on clinical and experimental topics relating to vascular surgery. In addition to his clinical work Professor Walden is involved in projects of quality control and patient safety. Robert Steffen, emeritus professor, is now concentrating on research projects at the University of Zurich Centre for Travel Medicine. There, until 2008, he was head of the division of epidemiology and prevention of communicable diseases in the Institute of Social and Preventive Medicine, and director of a World Health Organization collaborating centre for traveller’s health. 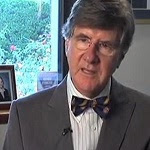 Further, he is an adjunct professor in the epidemiology and disease prevention division of the University of Texas School of Public Health in Houston, Texas, and an honorary fellow of the Australasian College of Tropical Medicine. 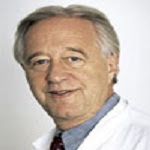 He started to systematically investigate illness and accidents in travellers in 1975, organised the First International Conference on Travel Medicine in Zurich in 1988, and became a cofounder and President of the International Society of Travel Medicine. He is Editor-in-Chief of the Journal of Travel Medicine and has published more than 350 papers, book chapters, and monographs–mainly in the field of travel health. For 12 years each, he presided on the Swiss Influenza Pandemic Planning Committee and the Expert Committee for Travel Medicine; he was the vice-president of the Federal Commission on Vaccination and of the Swiss Bioterrorism Committee. Richard Hamilton, M.B., B.S., F.R.A.C.S. has more than 20 years experience as a plastic surgeon. Dr. Hamilton graduated from Adelaide Medical School and trained in some of the best facilities in the world (Adelaid-South Australia, New Zealand, Melbourne-Victoria, Gothenburg and Stockholm-Sweden). 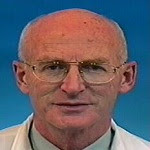 After returning to Adelaide, he became Chief of the Plastic Surgery Unit at Flinders Medical Centre from 1980-1995. In addition, he was the Senior Visiting Plastic Surgeon at the Repatriation General Hospital from 1981-1998. Dr. Hamilton is a member of several professional associations, including The Royal Australasian College of Surgeons (RACS), The Australian Society of Plastic Surgeons (ASPS), The Australasian Society of Aesthetic Surgeons (ASAPS), The American Society of Plastic Surgeons (ASPS) and The International Society of Aesthetic Plastic Surgeons (ISAPS). 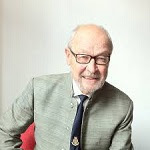 He established Hamilton House Day Surgery in 1988 with a mission to provide individualized treatment to every patient. Dr Alex Ooi is a senior Obstetrician & Gynaecologist with over 30 years of specialty medical experience, currently practising at the Mount Elizabeth Medical Centre in Singapore. 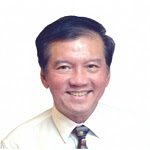 Dr Ooi obtained his medical education at the University of Singapore and graduated in 1975. He trained in Singapore and London and became a specialist in Obstetrics and Gynaecology. He practiced at the Kandang Kerbau Hospital until commencing his own private practice at the Mount Elizabeth Medical Centre in 1982. Prior to introduction of his liposuction service, he trained in several places including with Dr Jeffrey Klein, inventor of the tumescent technique for liposuction. Since early 2005, he established Tumescent Liposuction and Autologous Fat Transfer services as a natural extension of his expertise in keyhole surgery. After a national review of regulations in this field, he was appointed liposuction preceptor by the Ministry of Health of Sigapore. 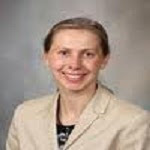 Bjorg Thorsteinsdottir is an Assistant Professor of Medicine at the Primary Care Internal Medicine Department of the Mayo Clinic in Rochester, Minnesota, USA. She graduated from Medical School, University of Iceland, Reykjavik, Iceland. She attended an internship at the Landspitali University Hospital, Reykjavik, Iceland and then was trained at the department of Internal Medicine, Mayo School of Graduate Medical Education, Mayo Clinic, Rochester, MN. 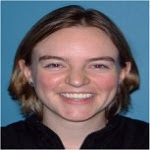 Dr. Thorsteinsdottir has also been a fellow in Medical Ethics at Harvard Medical School, Harvard University, Boston, MA. She is certified by the American Board of Internal Medicine. Her interests include the fields of Ethics, End of life care, Transitions of care, Resource allocation and Health policy. 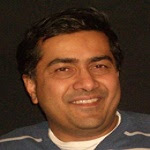 Dr. Sapkota is a medical epidemiologist and has been working in the area of public health for close to 10 years. He has experience in chronic disease prevention, injuries prevention, environment health, and emegency public health management. Currently he is working in Countermeasure Response and Administration (CRA) team within Division of Emergency Preparedness and Response, Centers for Disease Control and Prevention contracted to Constella Group – An International SRA Company. Dr. Sanjeeb Sapkota graduated from Tribhuwan University, Nepal and worked for World Health Organization as a technical officer. He earned his Masters of Public Health (MPH) from University of Kuopio, Finland. Dr. Sapkota has also been an Epidemic Intelligence Service (EIS) officer. EIS is the world renowed program on applied epidemiology. Emily is a UK doctor who spent one year in 2009-2010 volunteering as the Welbodi Partnership Medical Coordinator in Sierra Leone. She is training to be a family doctor and has long had an interest in international health. She trained at St. George’s Hospital Medical School and has a BA in Psychology and Philosophy from St. Anne’s College, Oxford. The Welbodi Partnership is working to improve child health in Sierra Leone, where 1 in 7 children dies before their 5th birthday. Since 2007 we have worked with the government and hospital staff at the Ola During Children’s Hospital in Freetown with the aim to transform it into a centre of excellence. 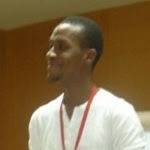 Dr. Chijioke Kaduru, is a Doctor, with a Bachelor of Science (BSc.) degree (Medical Sciences) from the University of Ghana and a Bachelor of Medicine, Bachelor of Surgery (MBChB) degree from the University of Ghana Medical School. He is a certified Human Resource Trainer. He currently works as a Marketing Coordinator, for Corona Management Services and as a Project and Human Resource Coordinator, for Young People for Global Health (YPGH). Dr. Kaduru is an Associate member of the World Medical Association (WMA). He likes to write about health policy, health systems, politics, youth development and many more lifestyle issues. He currently lives in Abuja, Nigeria.